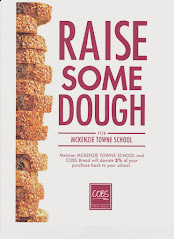 Welcome to the newly formed McKenzie Towne School Parent Association blog! This blog will be used to keep parents informed on the activities of the association and as a way to find and organize the many volunteers we will need over the coming months. We will be adding an event calendar to inform parents of upcoming meetings. We encourage all to attend and participate as much as possible! We will also be asking interested parents to subsribe to this blog, so that we can start a mailing list to further keep you informed. Stay tuned! It's looking good! I like it. Good job - Tiffany, looks good. Thanks for the link to our site. Looks great! I'm going to check in regularly!